THE UNEMPLOYED EATER: Good News! 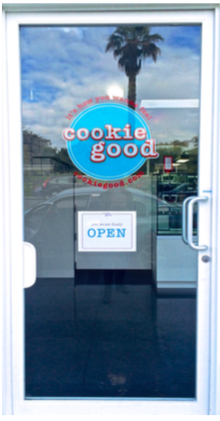 Cookie Good Now Open in Santa Monica. Good News! Cookie Good Now Open in Santa Monica. As I alluded to back in January, the very good cookies of Cookie Good would be coming to Santa Monica before year's end. Well, all our holiday season carb wet dreams are now a reality as they have officially opened shop at 2448 Wilshire Blvd. Currently baking Monday-Friday from 11 am to 6 pm, with Saturday hours to come very, very soon. I honestly don't know why you're continuing to waste your time reading this post when you should already be banging on their brand new door. 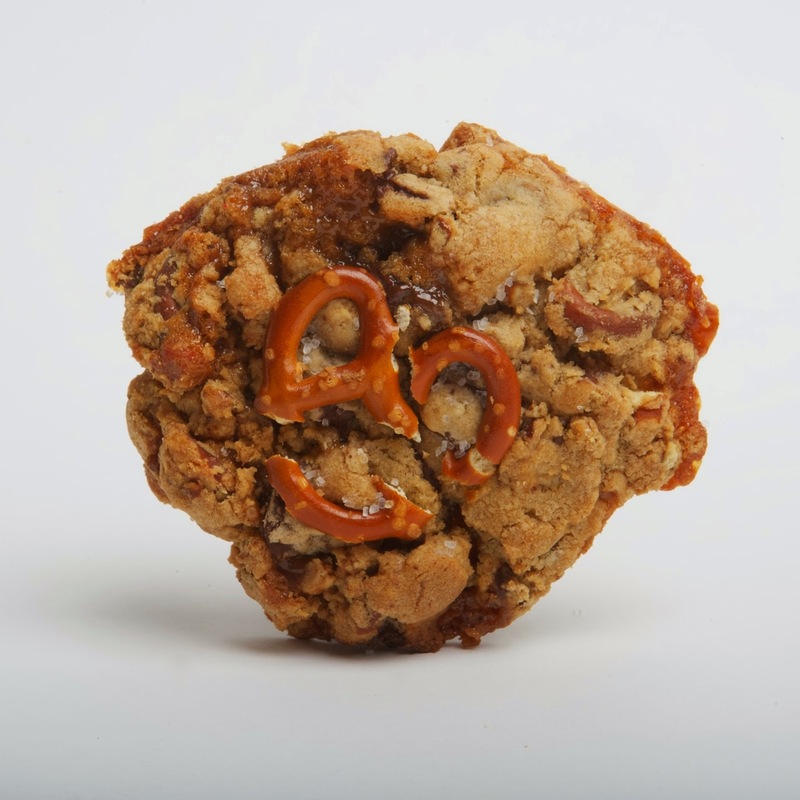 Get yourself a seasonal Apple Pie cookie pronto, bro. And, while you're at it, please grab a Birthday Cake and Pancakes & Bacon for me. Thanks.